On April 13, the National Archive Records Administration made available almost 250,000 pages of documents from President Reagan's administration. It will take several months for researchers to read through the documents. 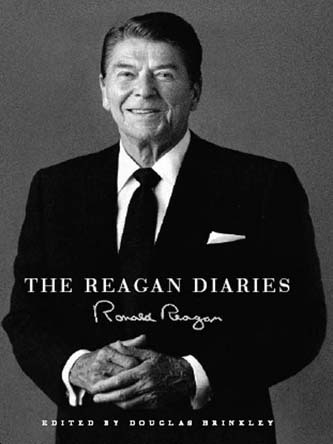 The released material may yield insight into a curious comment found in President Reagan's Diary. This is curious since the Space Shuttle holds a maximum of eight people and only five were built for space flight. Even if all five took off fully loaded it would be impossible to place and maintain 300 astronauts in orbit. Was Reagan revealing the existence of a highly classified space program that could accommodate hundreds of astronauts in orbit? Apparently so according to dozens of military and corporate whistleblowers. Hidden within one of the ten unified combatant commands of the U.S. military, Strategic Command, is a highly classified fleet of aircraft carrier sized antigravity vehicles that operate in outer space. The United States has organized its military forces into ten unified combatant commands respectively led by a single four star General or Admiral who reports directly to the Secretary of Defense. Six of the unified commands span the globe in terms of different geographical areas. In addition, there are four functional commands where specialized military activities are run by a single "Combatant Commander." From 1985 to 2002 Space Command was responsible for outer space operations by the U.S. military. In June 2002, Space Command merged with another of the functional commands - Strategic Command which is responsible for a range of space, satellite, missile, nuclear and intelligence activities. Rumors that the U.S. has a highly classified fleet of antigravity vehicles have circulated for years. "We now have the technology to take ET home". Corporate and military whistleblowers have come forward to claim first hand knowledge of classified space vehicles using antigravity technology such as the Aurora and TR-3B. "there has been speculation since the late 1980s about the existence of a secret replacement for the Blackbird, a mythical plane called the Aurora that supposedly flew twice as fast and on the edges of space" (p. 14). Other whistleblowers such as Edgar Fouche, a former contractor with the Department of Defense, have come forward to claim that the Blackbird's [or SR-71] replacement, the Aurora actually comprises two types of hypersonic aircraft used for space flight. "The Aurora comprises the SR-75 capable of speeds above Mach 5, and acts as a mother ship for the SR-74 that can travel at speeds of Mach 18 or more into space to deliver satellites." More significant is the large black triangular vehicle, the TR-3B that Fouche claims generates an intense magnetic field that reduces its weight by 89 percent. He says that the TR-3B uses the Biefeld-Brown effect (created by large electrostatic charges) to reduce its weight so that more conventional propulsion systems such as scramjets can give it amazing speeds. This would be well above Mach 18 that he claims is the speed of the SR-74. Fouche claims the TR-3B is 600 feet across which would make it similar in size to an aircraft carrier. Circumstantial evidence points to the existence of a secret space fleet of antigravity vehicles. President Ronald Reagan's startling Diary entry for June 11, 1985, for example, reveals a space shuttle capacity that could launch 300 people into orbit. Also, on August 6, 2007, for example, NASA awarded the "Human Spaceflight Support Team" for assisting NASA vehicles in avoided space debris. The support team was part of USAF Space Command which is publicly stated to be the major military command providing space forces for U.S. Strategic Command. The citation … highlights the team for its exceptional support in keeping the space shuttle, International Space Station and its crews safe from the dangers of orbital debris, spacecraft collisions and other inherent hazards of orbit operations. However, neither the USAF Space Command nor Strategic Command is publicly known to have any kind of space vehicle that would assist the Space Shuttle or International Space Station from orbital dangers. Normally, both NASA vehicles would require gradual orbital corrections that would take much time and be insufficient to deal with an immediate threat. According to Ted Twietmeyer, the citation is circumstantial evidence for the existence of antigravity vehicles with advanced particle beam weapons that could remove orbital debris from the path of NASA vehicles. The idea that a secret space fleet exists that can intervene to assist the Space Shuttle or International Space Station is also supported by the testimony of a former NASA employee. Clark McClelland worked as a SpaceCraft operator for Space Shuttle missions during 1989-1992. 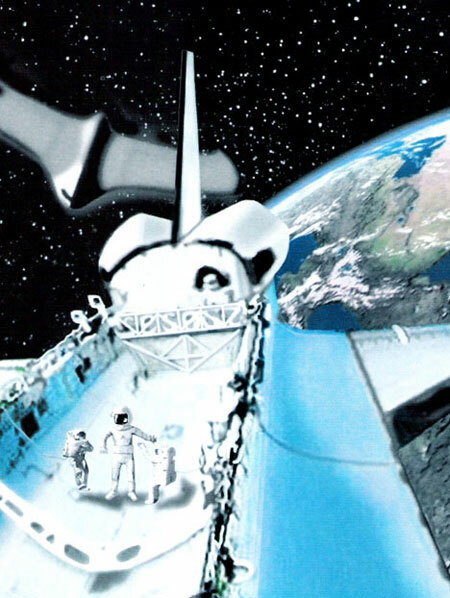 On one occasion he claims to have witnessed an eight to nine foot tall astronaut and what appeared to be a delta winged antigravity vehicle nearby (see below illustration). Since McClelland knew all astronauts in the NASA space shuttle program he assumed that the very tall being in a space suit was an extraterrestrial. While such a possibility can't be excluded, the being and the nearby delta shaped vehicle may in fact have been part of a classified Space Fleet attached to U.S. Strategic Command. Finally, the idea of a secret space fleet using advanced technologies was boosted by a British hacker, Gary McKinnon, who faces extradition to the U.S. for hacking into U.S. government and military computers. McKinnon claims that he came across secret Pentagon and NASA files that contained a list of 'non-terrestrial officers', and a spreadsheet detailing 'fleet-to-fleet transfers'. Could the tall being depicted with the two Space Shuttle astronauts actually belong to a group of "non-terrestrial officers" that periodically give assistance to Space Shuttle programs through the US Air Force's Space Command? Based on the available evidence from a range of sources, President Reagan's 1985 Diary entry is a frank acknowledgement of a classified space program that can transport and accommodate hundreds of astronauts. The Diary entry suggests he received one or more briefings on the topic. Important clues may emerge from the recently released Reagan records about Strategic Command's classified space fleet. More significantly, the public may soon learn about the advanced antigravity technologies that have been secretly developed and used for decades to fly military astronauts into deep space. Depiction of Constellation lauch vehicle (Ares 1) leaving Earth. President Obama has yet to name an administrator for NASA. It is not unprecedented for a new President to delay. President Bush waited until November of his first year in office before naming Sean O'Keefe as the new administrator. The delay in naming a replacement to Michael Griffin means important decisions about future NASA operations are being made by acting administrator, Christopher Scolese. Major decisions have been taken to lay off personnel when the Space Shuttle is retired in 2010 despite a Congressional request to consider ways to extend the Shuttle service life. Also, NASA managers last month decided to trim the crew capsule of the Constellation Project - the Space Shuttle's replacement - from six to four. The Constellation aims to take astronauts to the moon and mars, and service the International Space Station. Obama's delay in announcing a new administrator reflects the widespread view that he gives NASA a low priority. This is reflected in the steady decline in NASA's budget in real terms since the end of the Apollo missions in the early 1970s. NASA's decline is inevitable. If whistleblower reports are accurate, then NASA is little more than a cover for a highly classified antigravity space fleet that regularly takes hundreds of military astronauts into space. The alleged name of this secret project is 'Solar Warden'. As discussed in part one of this series, President Ronald Reagan alluded to a highly classified space fleet in the June 11, 1985 entry in his diaries where he revealed that "our shuttle capacity is such that we could orbit 300 people." A succession of whistleblowers and aeronautical experts have come forward to reveal various details of advanced antigravity technologies that can, in the words of Ben Rich (former Lockheed Skunkworks CEO) "take ET home." If Reagan's comments and whistleblower testimonies are correct, then the operational home of this secret antigravity space fleet, as shown in part one above, is U.S. Strategic Command. The project name of the classified space fleet, according to several whistleblowers is "Solar Warden". The existence of Solar Warden, if true, proves that NASA is a cover program using antiquated rocket propulsion technologies. If so, the 'futuristic' Constellation Program aimed to take astronauts to the moon and mars is a cover for an existing space program that regularly flies interplanetary missions using advanced antigravity propulsion technologies. The first reference to Solar Warden occurred in March 2006. A reliable source, according to administrators of the Open Minds Forum, revealed its existence and capacities. All space programs are a cover that exists to deceive the people of this world. We have a space fleet, which is codenamed" Solar Warden." There were, as of 2005, eight ships, an equivalent to aircraft carriers and forty-three "protectors," which are space planes. One was lost recently to an accident in Mars' orbit while it was attempting to re-supply the multinational colony within Mars. This base was established in 1964 by American and Soviet teamwork. Another source describing Solar Warden is an anonymous whistleblower known as 'Henry Deacon' who works at Laurence Livermore laboratories as a physicist. Deacon's true identity is known to the creators of the Project Camelot website who have witnessed his credentials and believe him to be credible. "Henry confirmed the existence of a large manned base on Mars, supplied through an alternative space fleet (codename SOLAR WARDEN)." According to Wiliam Arkin's manual for military code names which designates specific two letter alphabetical sequences to distinct U.S. military projects, Solar Warden falls into a Joint Forces Command project. This suggests Solar Warden is operationally located within Strategic Command as claimed in part one. If Solar Warden has been successful in establishing a Mars colony using antigravity propulsion systems, then this might explain why antigravity research became highly classified in the mid-1950s. It also would explain why civilian researchers who successfully replicated antigravity technologies were ruthlessly suppressed as occurred to Otis Carr in 1961. A growing number of whistleblower and expert testimonies point to the existence of a highly classified antigravity space program that can place hundreds of military astronauts in space. If Solar Warden or a similar classified military program does exist, then it is understandable why President Obama has delayed appointing a new NASA administrator. NASA's steady decline since its Apollo heyday has nothing to do with the competence and expertise of NASA personnel. The political reality is that highly compartmentalized military programs prevent advanced antigravity technologies into the public sector for commercial application. 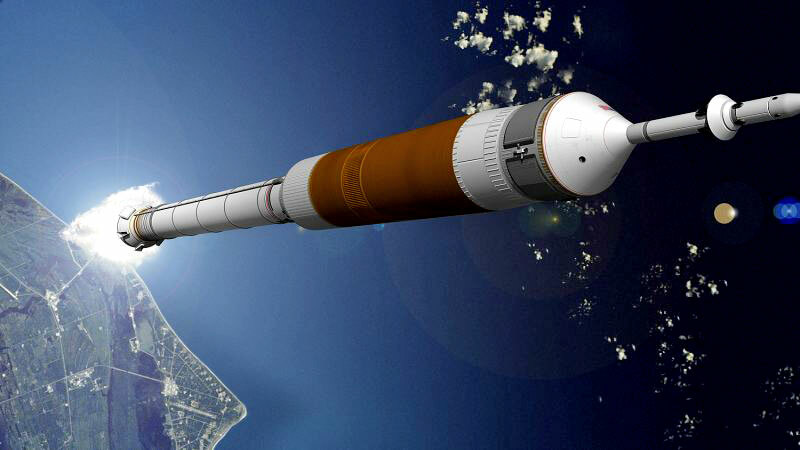 NASA's new 'futuristic' Constellation Program, based as it is on antiquated rocket propulsion technologies from the 1940's, is a cover program and does not deserve to be funded. Instead, U.S. military and corporate projects involving advanced antigravity technologies and the means by which these were acquired need to be exposed to the American people.